Applications need to work with the iOS to ensure that they deliver a wonderful user experience. Beyond just a good design for your app’s design and user interface, a great user experience encompasses many other factors. Users expect that iOS app to be fast and responsive while expecting the app to use as little power as possible. Apps need to support all of the latest iOS devices while still appearing as if the app was customized for the current device. As Apple is known for the focus on security and intuitive UX, Apple devices are widely used in business and enterprise. 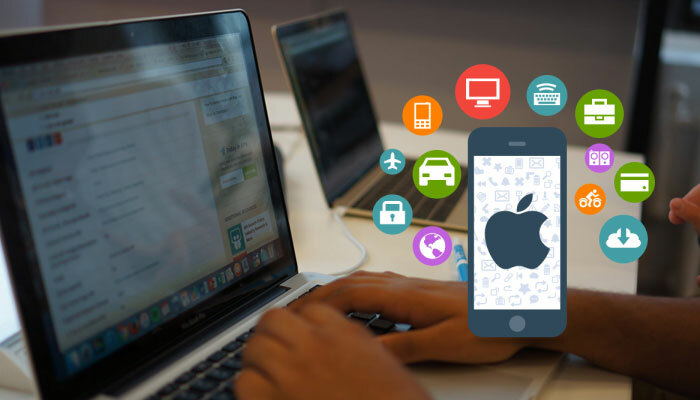 In order to reap all the benefits of your next project, here are the best practices to consider when building iOS application. UI implementation and app performance are important for the overall mobile experience as pixel-perfect designs. Being known for its strict policies and requirements, iOS has its own formal conventions for UI and UX. Therefore, prior to writing a single line of code, make sure every member of your team understands and follows the basic guidelines provided by Apple. Cocoapods, Carthage or the standard Package Manager? Now imagine that you need to use third-party solutions that require some other dependencies. Of course, you can browse the GitHub website, look for dependencies, copy them into your project, then find out that you have used the wrong version and, finally, start over. Why? Instead, you can use one of the three above-mentioned managers, which will do everything, and in case of an update, they will also automatically update the dependencies. We prefer Cocoapods because using cocoapods is very easy, and all third-party frameworks use this manager. Powerful but simple, Swift programming language has caused controversy even among its most die-hard fans. First introduced by Apple in 2014, the language has recently received a major update, Swift 3. Offering a number of neat features, its adoption is increasing among engineers. Yet most of the iOS developer community agree that for a complex project, you should probably go with the tried and true Objective-C or at least mix it with Swift, taking the best out of each language. Actually, the research shows that only 11 percent of App Store’s Top 100 applications use at least some Swift, while the rest still relies primarily on Objective-C.
First, create them as groups (little yellow “folders”) within the group with your project’s name in Xcode’s Project Navigator. Then, for each of the groups, link them to an actual directory in your project path by opening their File Inspector on the right, clicking the little gray folder icon, and creating a new subfolder with the name of the group in the project directory. Keep your constants’ scope as small as possible. For instance, when you only need it inside a class, it should live in that class. Those constants that need to be truly app-wide should be kept in one place. In Swift, you should use enums defined in a Constants.swift file to the group, store and access your app-wide constants in a clean way. Asset catalogs expose only the names of image sets, abstracting away the actual file names within the set. It prevents asset name conflicts, as files such as button_large@2x.png are now namespaced inside their image sets. Appending the modifiers -568h, @2x, ~iphone and ~ipad are not required per se, but having them in the file name when dragging the file to an image set will automatically place them in the right “slot”, thereby preventing assignment mistakes that can be hard to hunt down. Even in an age where we trust our portable devices with the most private data, app security remains an often-overlooked subject. Try to find a good trade-off given the nature of your data; following just a few simple rules can go a long way here. A good resource is to follow Apple’s own iOS Security Guide. If there is a large dedicated development team working on your application, make sure the coding style is consistent throughout the process. Establishing a good coding standard, or the adopting existing ones, such as GitHub Objective-C or Swift guides, helps create an app which is easy to maintain and update. By following a common programming approach, each member of the team or an outside developer can easily read the code and make the required edits. As soon as your app is ready to be shipped, it’s very important to decide upon the optimal distribution method for it. Apple currently offers 3 distribution models. The most widely used option is to upload the application directly to the App Store. This way it will become available for every iOS user. Additionally, you can set parameters, such as target country, supported device, or iOS versions. If you want to beta-test your app before launching it globally, you can use the TestFlight service provided by Apple. It allows you to invite up to 100 users to test the application privately. For enterprise level apps or internal business tools, you can use the iOS Developer Enterprise Program or Volume Purchasing Program. Although a costly alternative to the previous two methods, this approach offers complete privacy, making your application available only to your employees and contractors. You should never do any heavy lifting on the main thread. This is because UIKit does all of its own work on the main thread, such as drawing, managing touches, and responding to input. Manipulate the data in the background thread and update the UI in the main thread. It will improve your performance.